WWE has confirmed that AJ Styles has signed a new deal with the company. It appears that AJ Styles has officially signed a new contract with WWE. PWInsider reported today that they've been told by several sources that Styles and WWE have agreed on all major points for his new deal. The reported added that there are some within WWE who believe the deal has already been signed. Styles then responded to the report by tweeting a picture of his family's new dog and writing: "This is the newest member of my family. Also, I’ve signed a new contract with the WWE. What a cute little guy." Terms of the contract have yet to be revealed. Dave Meltzer wrote earlier this month that, while Styles had not yet signed his new contract at that point, Styles "had told friends and all expectations are that he will sign [with WWE]. The basic gist regards his age, and the stability of WWE at this point in his career. Styles is Kenny Omega’s dream opponent and he’s good enough friends with the Young Bucks that they have talked with him when they were considering their own futures late last year. Those in AEW had not expected Styles to consider coming although they obviously would have wanted him if he was interested"
Styles made his WWE debut in the 2016 Royal Rumble match and has held the WWE Championship two times since joining the company. 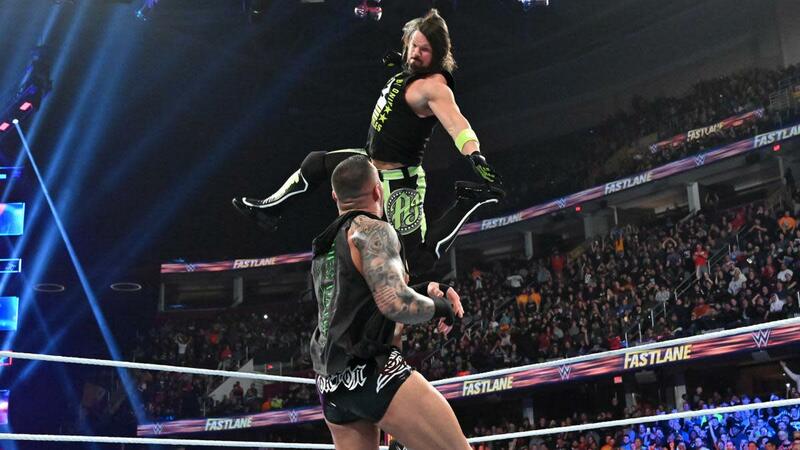 Styles vs. Randy Orton is official for WrestleMania 35.